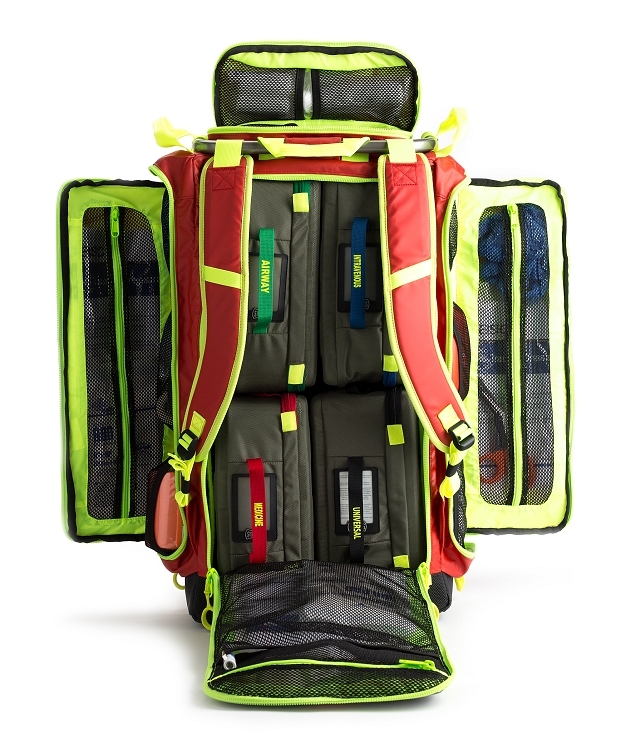 A large-sized street pack for medics who carry more. 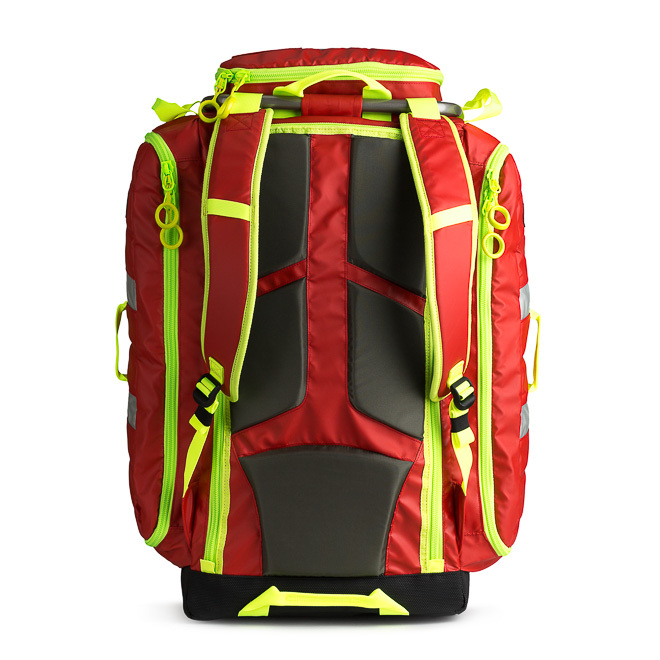 Boxy and compact, with ergonomic hauling. 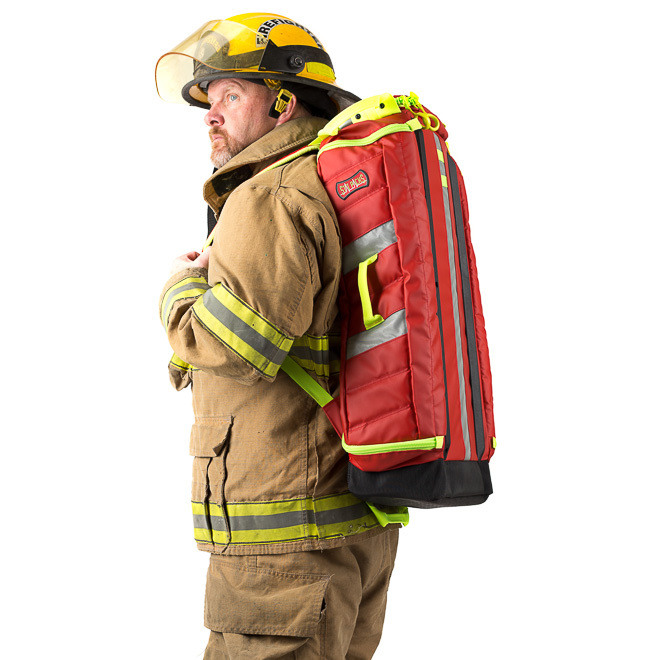 Unique design keeps your shoulder straps off the ground when you're accessing contents. 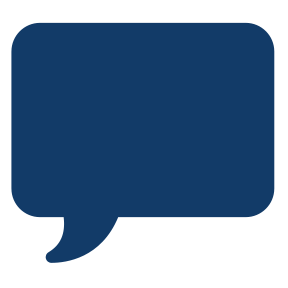 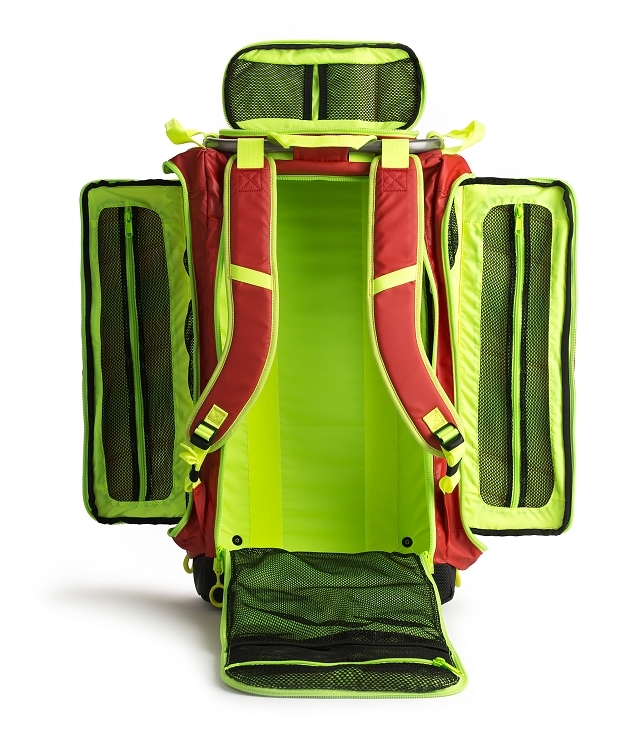 Internal Cells stack neatly and securely in many different configurations. 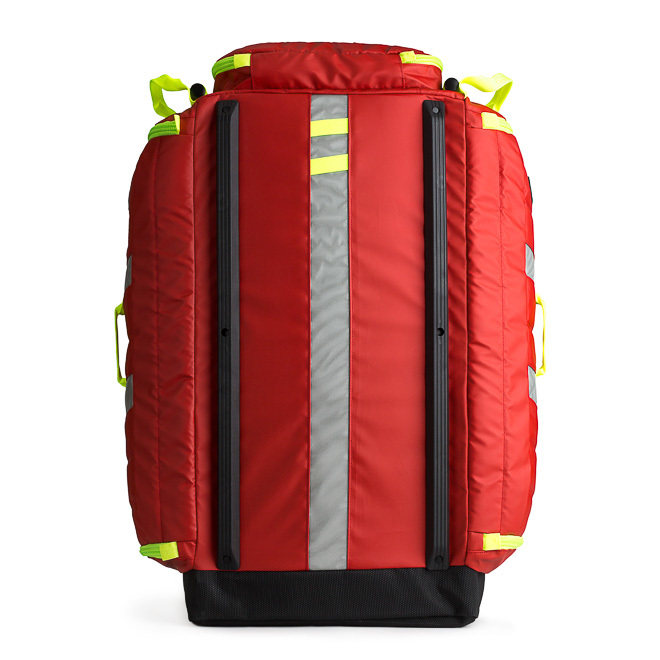 This pack accommodates the First Aid QuickRoll Intubation Kit, Circulatory Kit and Remedy kit, as well as, the stackable Cellular System. 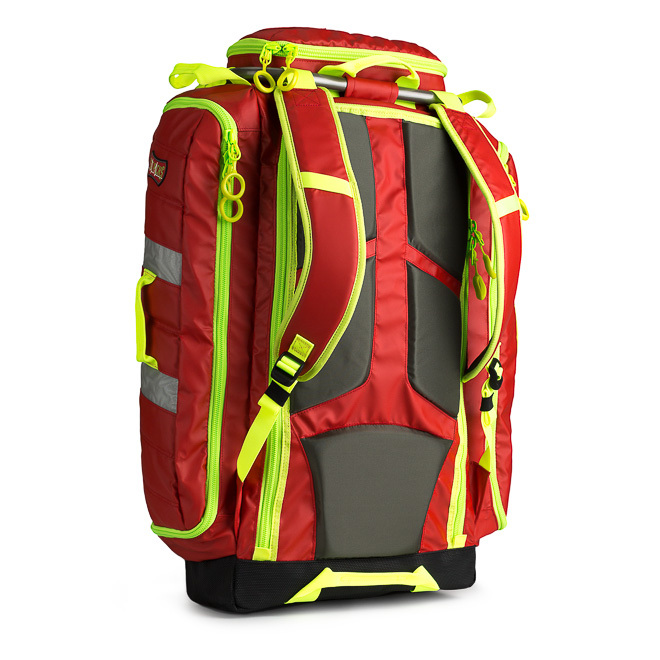 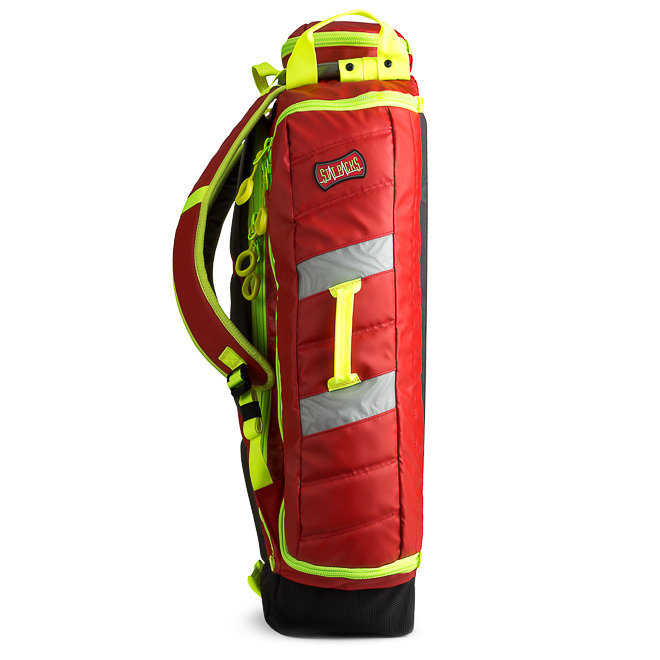 The aluminum track creates a bomb proof secure point for the shoulder straps that allows for comfortable transport of the most emergency medical equipment. 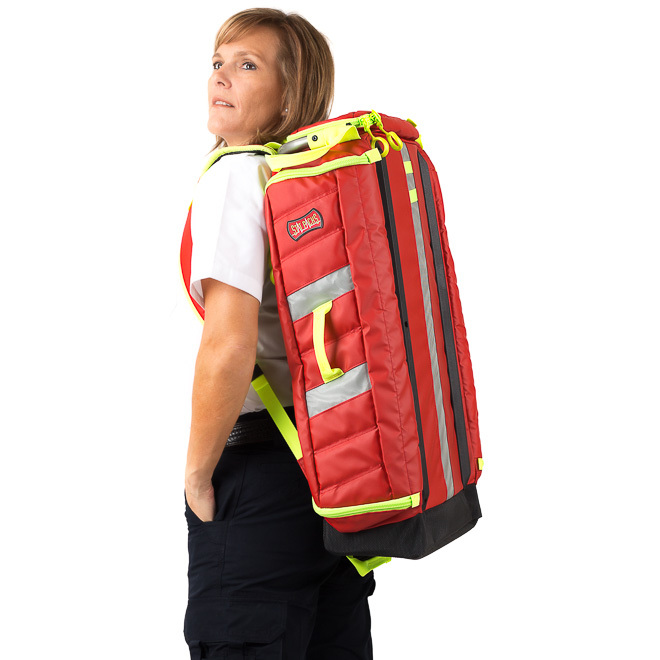 Up to 4 of the Generation 3 standard cells will fit inside as this is the Large-sized of the EMS Backpacks included in the Cellular System. 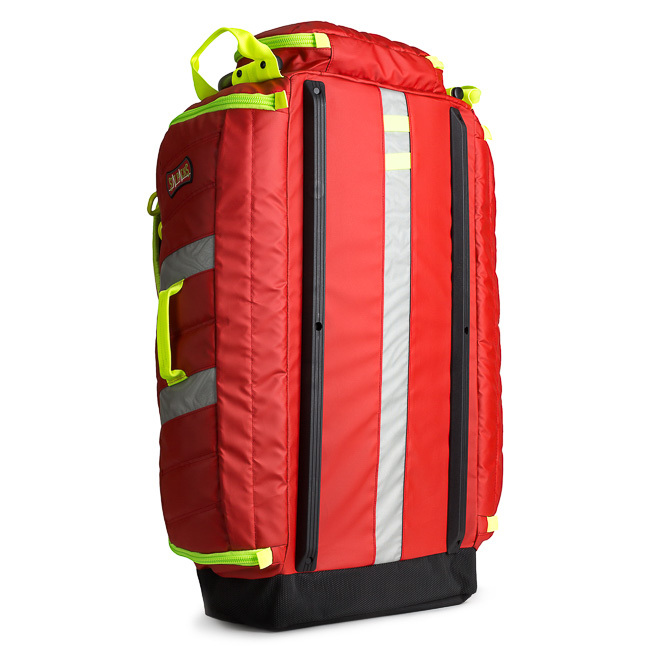 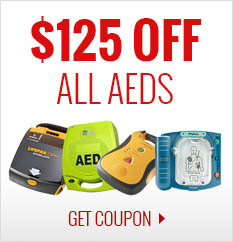 Specificially designed to hold StatPacks Generation 3 Emergency Medical Services Cells. 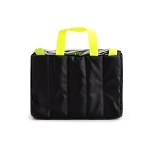 28.5" x 17" x 7"